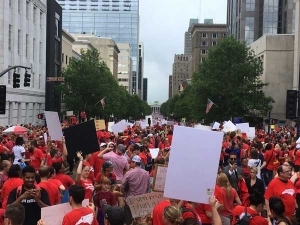 Teachers rallied in Raleigh on May 16 for better pay and more funding for public schools. Johnson made similar remarks last year. Instead of attending the teacher rally, he planned a trip to the coast to visit Craven County Schools. 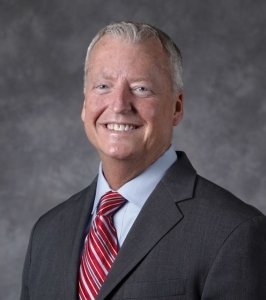 Mark Jewell, president of the N. C. Association of Educators (NCAE), announced the May 1 event during the group’s annual convention over the weekend. Jen Mangrum, an education professor at UNC Greensboro who is running for State Superintendent, called Johnson’s comments about the May 1 rally shortsighted. 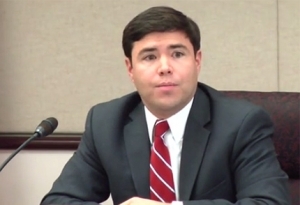 “Ultimately, we want to do what’s right for teachers and students overtime,” Mangrum said. She noted that Johnson attended and spoke at a “School Choice” rally in 2018. James Barrett, a member of the Chapel Hill-Carrboro City Schools Board of Education who is also running for State Superintendent, said the ball is in state lawmakers’ court. He said the General Assembly should act on the NCAE’s demands to avoid the teacher march and rally. “It’s the General Assembly’s fault that schools have to be closed to get people to listen to teachers,” Barrett said. School districts across the state were forced to close on May 16 because thousands of educators took personal days to attend the rally. Johnson’s absence didn’t sit too well with many educators. In his statement Thursday, Johnson said a protest march can be just as effective during non-school hours. “Closing schools affects not only students’ learning and nutrition, but also parents, other school employees, and other teachers,” Johnson said. He insisted that teachers in North Carolina are being heard. “We have more work to do, but we listen to educators’ concerns and have been responding with efforts to raise teacher pay, provide state funding for school construction needs, reduce high-stakes testing, improve school safety efforts, and more,” Johnson said. Previous PostNC Senators propose work reporting requirements for parents who receive Medicaid, even as judge strikes down requirements for other statesNext Post Virtual ed for pre-schoolers? Really?